Open to all Summer league bowlers and local league bowlers to give you a chance to try the latest EBI balls that will just be released to prepare for the upcoming Fall/Winter league season! Robb White/Robb’s Pro Shop will present the EBI Demo Day on Thurs., Aug. 2nd, from 3pm-6pm so mark your calendars now so you don’t miss this opportunity to be able to try the latest from Ebonite, Hammer, Track or Columbia line. It is FREE to come down and try out these new balls on the market. Bring your favorite-fitting bowling ball to help them find the best fit for you to try out these balls. Last summer at the EBI Demo Day that was held at AMF Southwest Lanes in Bakersfield, we were honored to have EBI Staffer Joe Goldstein, Sr. there sharing his knowledge of the EBI line helping bowlers select a new bowling ball best for them. He lives in the Bay area, so having him drive five-plus hours to Bakersfield to help run the Demo Day is special. Not only special to us but special to him! In a couple weeks, Goldstein will be traveling to Bakersfield once again to help with the upcoming EBI Demo Day which will take place on Thurs., Aug. 2, from 3pm-6pm, at AMF Southwest Lanes in Bakersfield, CA. It is probably even more special this year as he is still recovering from a very damaging staph infection he got late last fall in his right foot/ankle. He kept having a lot of pain and when he went to bowl the Storm Mixed in Reno, on his first shot in practice, he said it felt like “my right heel exploded.” But he made it through the set in pain on a three “step” delivery for a 567 series. Three surgeries over the next eight months to rid him of the infection and then to correct his loss of flexibility in his ankle, he is now ready to finally return to bowling and with the help of physical rehab and his dedication, he can return to the PBA life once again. Goldstein’s love of bowling radiates when you meet him. 2018 marks his 15th year on the EBI Staff. His bowling career started 45 years ago when he began bowling at the Sports Center Bowl in San Francisco. His current average has dropped to a 209 but considering his past season and what he has been through, that’s phenomenal. He usually averages above 225. His career highest book was 235 in 2013. Although he has never done the PBA tour, he has “always wanted to take a year or two and try my hand at it.” Nevertheless, he has some PBA Regional titles, three of them in fact, that he can boast about. The first one came in Visalia in May, 2009, “where I had to go up against my good friend, Tony Reyes, for the title.” His other two wins are a PBA50 in Daly City (2012) and another in Reno at the National Bowling Stadium (2013). When asked if he’s every been televised at a PBA event, he said he’s come real close and been on Xtra Frame highlights during the PBA50 stops that he competed in. He bowled a 300 on Xtra Frame at the Northern CA Classic in Brentwood where he “nearly” made the show and also “nearly” made the USBC Senior Masters televised finals in 2016. Both tournaments he finished 6th. If he’s not competing in Regionals or Master events, he is involved with bowling through the Bowlers Experience Pro Shop inside Cloverleaf Family Bowl. Not one to say he coaches anyone, he will admit that he’s “helped many get better and enjoy the game more with my help.” His home center is currently Sea Bowl in Pacifica where he plans to bowl a fun league with his family at the start of this winter season. When asked what he enjoys the most when putting on a Demo Day, he said, “What I enjoy most about running a Demo Day is the chance to talk and mingle with bowlers of all skill levels. To be able to help build their games with new equipment and to build their confidence through encouragement…..priceless! During the Demo, I can spend some one-on-one time with a bowler who’s looking to find that new piece of equipment that helps with something that’s missing in their lineup or that creates a certain shape on the lane that they’ve been looking for.” This is what a Demo Day is all about and it is totally FREE to bowlers to experience. The Demo balls are either 14lb. or 15lb. balls with a broad selection of spans with interchangeable grips and thumb slugs so it is very important that you bring your best fitting ball to help them get the best demo ball fit for you when you arrive to test these new balls out. So, drop on by AMF Southwest Lanes (3610 Wible Road, Bakersfield) for the upcoming Demo Day on Aug. 2, and meet Goldstein and get to witness what he brings to town—“To say in a nutshell what I can bring to the Demo Day is my love for the game, my willingness to help all bowlers, and to help our labels grow in all areas. I am not the most technical bowler, but I do understand the game and will use what I know to help our Demo Day attendees.” This just in…..joining him at this event will be Adam Ishman/EBI District Sales Manager along with Carlie Medina. 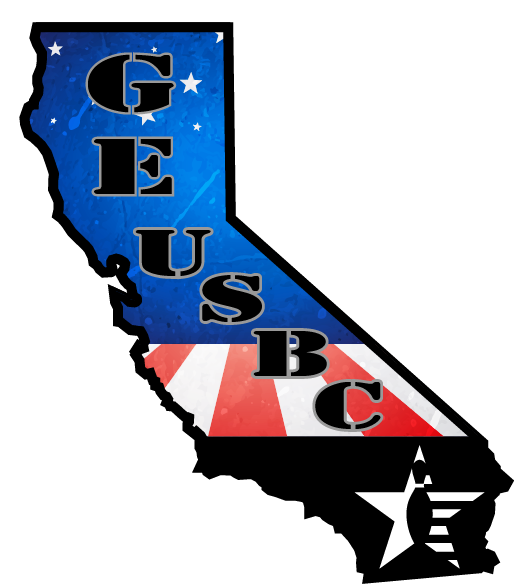 The first tournament put together by the newly-formed Golden Empire USBC Tournament Committee coming up is the Bakersfield Scratch Open which will take place on Sat., August 11/National Bowling Day at AMF Southwest Lanes. There are two qualifying squads—one at 9:30am and the other at 2pm. $1,000 is guaranteed for first place (based on 50 entries). Cost to enter is $80 for 6 games of qualifying. For further information on this event, go to geusbc.org or email Information.geusbc@gmail.com. – Congratulations to Phil Cook who casually picked up the Big 4 split on Thurs., July 12, bowling in Robb’s Ball league at AMF Southwest Lanes during his first game of the night! Handicap Singles: 1. Don “Get’n my groove back” Snow (905); 2. Pudge “Left eye” Miller (875); 3. “No” The Norris Richards (853); 4. Alex “10lb. ball” Garcia (805). 3-6-9 pot was almost hit by Eric “Birthday Boy” Wisdom. Carryover pot is now at $130! Alex would like to thank Don Snow for the donation to cover next week’s donuts! Also to Chris & Bette Addington who designed a program to run Coffee Club a little smoother. Thanks to Lo and Norris for the Krispy Kreme’s! Handicap Singles: 1. Mr. “No” Norris Richards* (1088); 2. Christina Appodaca (1023); 3. Charles Allen (1017). *No-tap 300 by Norris Richards! 3-6-9 carryover is at $75!